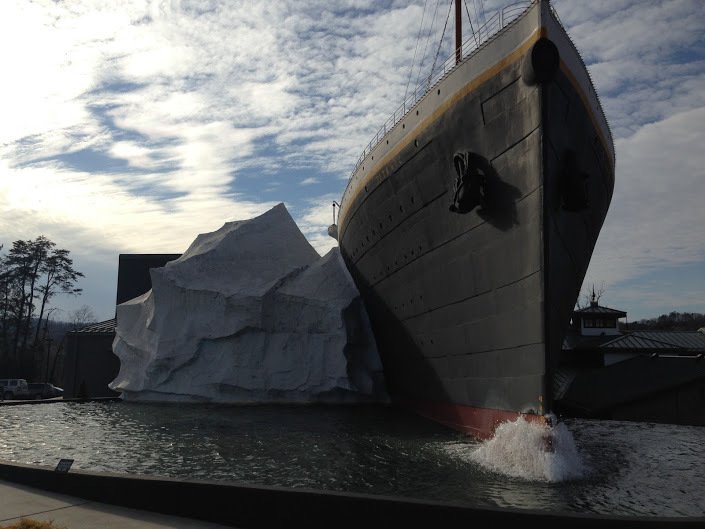 The Titanic Museum has been open for four years now. We have always enjoyed driving by and seeing the giant ship and iceberg. We’ve been interested in visiting for awhile now. Finally, this year the museum offered Area Appreciation Days, where local counties could visit for only $8.50 per person. Tickets are normally over $20. for adults, even if you are with a group. So this was a great deal, I was thrilled! We were able to enjoy the museum with a few friends. You receive a boarding pass when you enter giving you the identity of one of the passengers on the ship. You find out your fate at the end of the tour.I’m pleased to say I survived! It was a bit depressing but very interesting. The audio tour was included for that price, I enjoyed the fact there was a separate audio tour designed for children. It was worth the four-year wait! This week was tough because it would have been the week my middle daughter, Bella, turned 8. (See Bella: A Special Needs Diagnosis). A dear friend took my two kiddos for a few hours while I had a little alone time. I spent most of that time curled up in my bed reading and catching up on Downton Abbey. Our dear kitten, Scooter,(who was previously stuck in a tree), cuddled with me under the blankets all afternoon. Animals really seem to be intuitive to your feelings, have you found that? Lastly, I wanted to share that Lil Z’s creation. 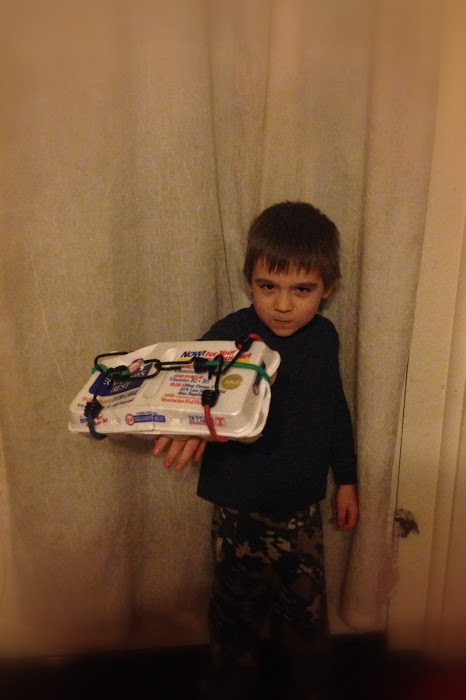 He had fun creating a shield and crab in one. Yes, you read that right. He was very pleased that he made a crab (?) and a shield combination toy, with the beneficial feature of it clipping on your hand. It’s little things like this that give me chuckles through the week. Do your kids do crazy stuff like this? So why title this week “Sinking”..the titanic is obvious, my heart was sunk this week thinking of my sweet Bella..and a crab sinks in the ocean of course! Wow. What a fab museum! I hope your rest time was restorative. Much love to you.